Mina is a graphic designer and art director for children’s books based in New York. Throughout her career, she has worked extensively in publishing. In addition to her art education at The Cooper Union, she received a degree in art history from Columbia University. Mina served as Associate Art Director for Alfred A. Knopf Books for Young Readers, and was also Art Director at Orchard Books. She has art directed or designed books that have been honored with AIGA Best Books and Bookbinders’ Guild of New York awards. 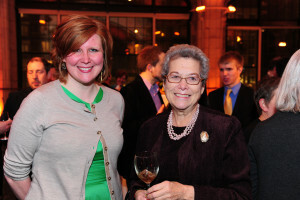 In 2011, Mina Greenstein A’56 was recognized as Alumnus of the Year for her outstanding service, dedication and commitment to the CUAA and The Cooper Union. Her service to the CUAA has included multiple terms on the Alumni Council and the Nominating Committee. 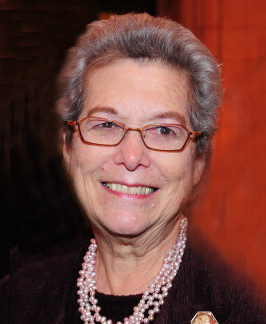 She serves on the Augustus Saint-Gaudens Award Committee and has been the Alumni Representative to the School of Art Administration Committee for many years. In 2015, she was elected VP Faculty and Student Liaison. At Cooper Union, Summer 2011, p.20. This entry was tagged Mina Greenstein. Bookmark the permalink.